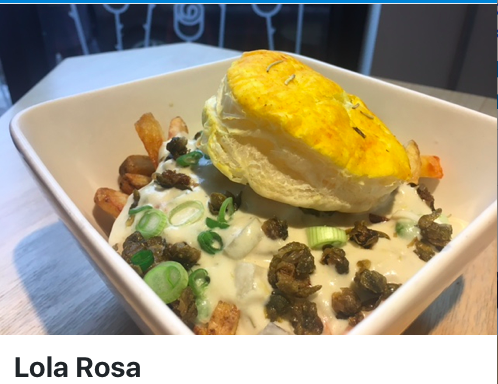 Lola Rosa is a vegetarian/vegan friendly restaurant and the restaurant on Parc Avenue serves Pot Pie Poutine during La Poutine Week 2018. When I first saw the photo, I could immediately think of a pot pie thanks to the pie shell on top. 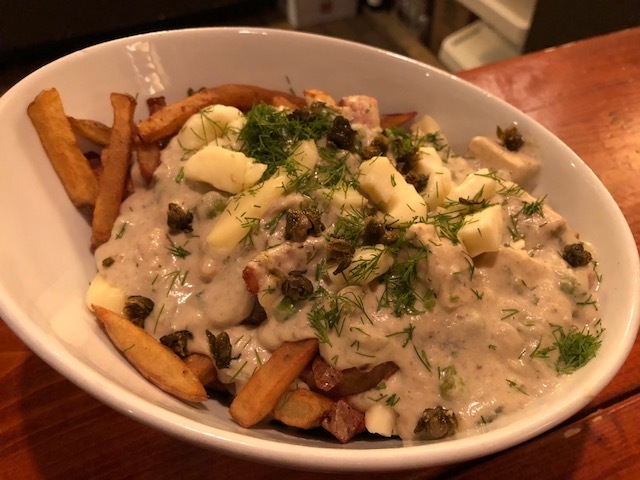 I went to the restaurant at the evening on 1st and ordered the poutine, the staff asked, "It doesn't have poutine (though it's a poutine), would you like add cheese?" I asked for regular cheese (made of milk), not vegan cheese. Here's the poutine, but WHERE IS THE PIE SHELL???? There's no pie shell and in place of leek, dill was sprinkled on top. When I said thee's no pie shell, the staff said that some people didn't like it so that they didn't put any on top. 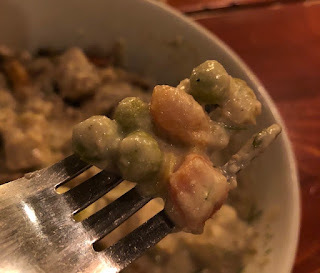 No pie = no pot pie, which is obvious but maybe they don't think that way. 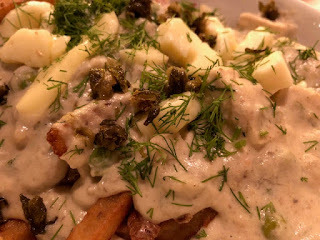 The white gravy was made with cauliflower béchamel without any meat, and there're peas, carrots and fried capers. 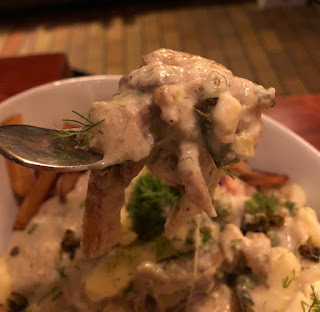 Apparently there're kales, but I didn't taste or see them. 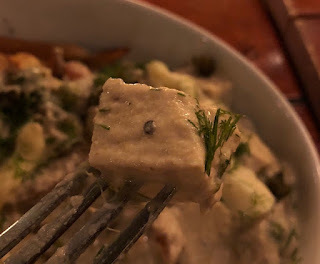 Capers had fine crispiness and sourness. There're some chunks of these cubes and they're soft and smooth like tofu, and I wondered if they're fake meat or really tofu, yet when I asked what they were, the staff said they must have been cheese. However, I didn't taste cheese in them and maybe they're vegan cheese? Dill was refreshing but also there's too much for me and the scent was strong. The gravy became thick and heavy after I consumed about a half or even one third, and I got a bit sick of it.